This site is dedicated to Sokoban. Sokoban is a puzzle game invented in Japan in 1980 by Hiroyuki Imabayashi. “Soko-ban is the Japanese word for warehouse worker. It is written with three kanji, 倉 , which means warehouse, storehouse, cellar, treasury; 庫 , which means roughly the same; and 番 which surprisingly means turn as in turn-based. 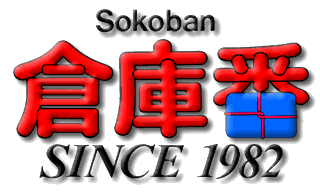 The first Sokoban program was released in 1982 in Japan by Thinking Rabbit for the Nippon Electric Company computer NEC PC-8801. The first release of Sokoban in western countries was Soko-Ban by Spectrum Holobyte, released for several platforms in 1984. Since then a lot has happened. Vast amounts of software for Sokoban has been written: programs, analyzers, solvers, translators, optimizers. Vast amounts of puzzles has been constructed. Most of the stuff can be found on the net, some legally, some illegaly published. But where to find it and who gets the credit? Websites comes and goes and often are only found on The Way Back Machine. Right now it is a one man project. And it gets exactly as I want it to be 😎 . But why shouldn’t that be different in the future. Please mail me with whatever you like concerning Sokoban. Unknown puzzles and skins are very welcome. A fully working version of Peter Box. Better graphics for the skin Takaken (I am afraid there are no better than the ones I got). Tell me if I violate some copyrights and I will correct it. If it happens (hopefully not) it is definitely not for profit. This is strictly a non profit site. Tell me if you like the site. Tell me if you dont. Tell me what you miss. Tell me if I made an error. Tell me anything you know and think could be of interest for other sokofans. The author of this site. Could not decide which alias so now it is Bjertrup at SokobanOnline.com and DrFogh otherplaces…I think. 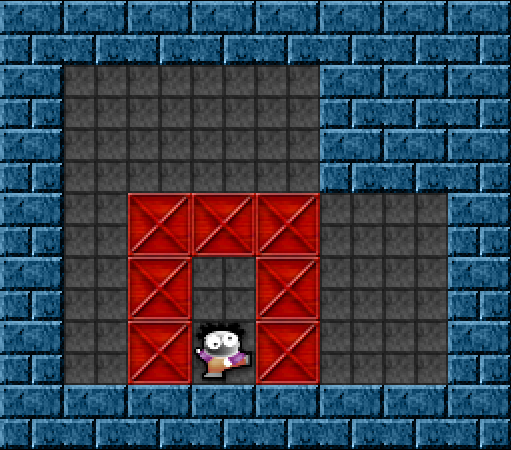 Sokofan more or less the last 10 years but not active producing puzzles and stuff until 2015. At least not in public. Another big interest is bridge. *) Quote from Theodor Laupperts website, discontinued 2014.